His Bride for the Taking: It's the first rule of friendship among gentlemen: Don't even think about touching your best friend's sister. But Sebastian, Lord Byrne, has never been one for rules. He's thought about touching Mary Clayton - a lot - and struggled to resist temptation. But when Mary's bridegroom leaves her waiting at the altar, only Sebastian can save her from ruin. 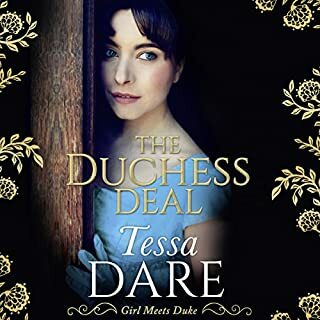 His Duchess for a Day: It was never meant to be... That's what Elizabeth Terry has told herself while trying to forget the man she married - her once best friend. As the daughter of a famed author, Isolde Ophelia Goodnight grew up on tales of brave knights and fair maidens. She never doubted romance would be in her future, too. The storybooks offered endless possibilities. And as she grew older, Izzy crossed them off. One by one by one....Now Izzy's given up yearning for romance. She'll settle for a roof over her head. What fairy tales are left over for an impoverished 26-year-old woman who's never even been kissed? Lieutenant Lucien Jones, son of a viscount, returned from war, to find his wife and child dead. Blaming his father for the commission that sent him off to fight Boney's forces, he was content to languish at London Hospital... until offered employment on the Marquess of Drake's staff. Through his position, Lucien found purpose in life and is content to keep his past buried. Ever the bold adventuress, Lucy Waltham has decided to go hunting for a husband. But first she needs some target practice. 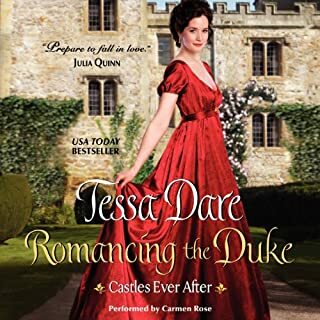 So she turns to her brother's best friend, Jeremy Trescott, the Earl of Kendall, to hone her seductive wiles on him before setting her sights on another man. But her practice kisses spark a smoldering passion that could send all her plans up in smoke. 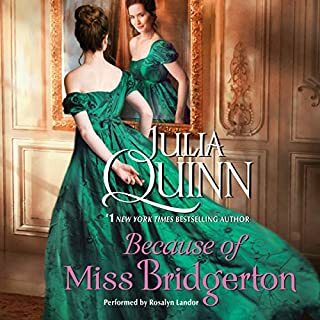 Everyone expects Billie Bridgerton to marry one of the Rokesby brothers. The two families have been neighbors for centuries, and as a child the tomboyish Billie ran wild with Edward and Andrew. Either one would make a perfect husband...someday. The first book in Eloisa James's dazzling new series set in the Georgian period glows with her trademark wit and charm. 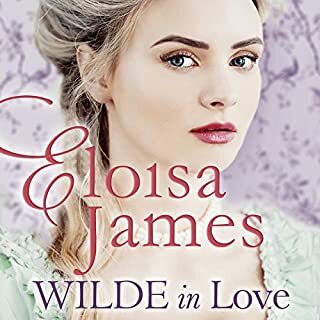 Things are about to get Wilde.... Lord Alaric Wilde, son of the Duke of Lindow, is the most celebrated man in England, revered for his dangerous adventures and rakish good looks. Arriving home from years abroad, he has no idea of his own celebrity until his boat is met by mobs of screaming ladies. Alaric escapes to his father's castle, but just as he grasps that he's not only famous but notorious, he encounters the very private, very witty Miss Willa Ffynche. Welcome to Spindle Cove, where the ladies with delicate constitutions come for the sea air, and men in their prime are..nowhere to be found. Or are they? Spindle Cove is the destination of choice for certain types of well-bred young ladies: The painfully shy, young wives disenchanted with matrimony, and young girls too enchanted with the wrong men; it is a haven for those who live there. Victor Bramwell, the new Earl of Rycliff, knows he doesn't belong here. Spinster Miss Eleanor Lockhart is suddenly homeless and employment is her only option. Ruined after succumbing to a scoundrel's excessive charm nearly a decade ago, she's lucky to obtain a position as a paid companion and committed to behaving with the utmost propriety. She definitely shouldn't be in the arms of a man capable of utterly destroying what little remains of her reputation. Henry, Duke of Torquil, wouldn't be caught reading the wildly popular "Dear Lady Truelove" column, but when its advice causes his mother to embark on a scandalous elopement, an outraged Henry decides the author of this tripe must be stopped before she can ruin any more lives. 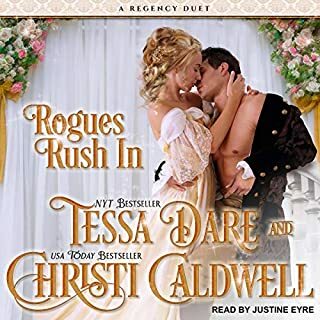 Though Lady Truelove's identity is a closely guarded secret, Henry has reason to suspect the publisher of the notorious column, beautiful and provoking Irene Deverill, is also its author. A widow with a past...The last thing Victoria Barrett, the Viscountess Waters, has any interest in is romance. When the only man she's ever loved was killed, she endured an arranged marriage to a cruel man in order to survive. Now widowed, her only focus is on clearing her son's name from the charge of murder. That is until the love of her life returns from the grave. A leader of a once great agency...Nathaniel Archer, the Earl of Exeter head of the Crown's elite organization, The Brethren, is back on British soil. 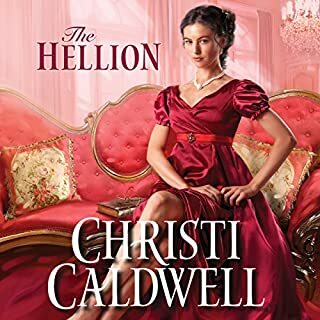 The addictive new Regency read from the New York Times best-selling author that’s perfect for fans of Georgette Heyer! The next instalment in Tessa Dare’s addictive Girl Meets Duke series. 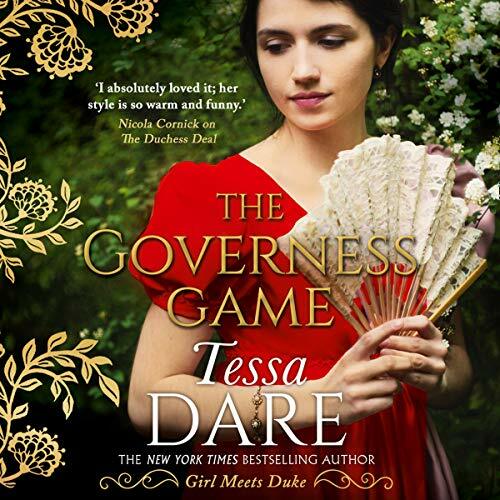 Mills & Boon presents The Governess Game by Tessa Dare. The accidental governess...After her livelihood slips through her fingers, Alexandra Mountbatten takes on an impossible post: transforming a pair of wild orphans into proper young ladies. However, the girls don’t need discipline. They need a loving home. Try telling that to their guardian, Chase Reynaud. The ladies of London have tried - and failed - to make him settle down. Somehow, Alexandra must reach his heart...without risking her own. The infamous rake...Like any self-respecting libertine, Chase lives by one rule: no attachments. When a stubborn little governess tries to reform him, he decides to prove he can’t be tamed. But Alexandra is more than he bargained for: clever, perceptive, passionate. She refuses to see him as a lost cause. Soon the walls around Chase’s heart are crumbling...and he’s in danger of falling, hard. Delightful prose, wonderful banter and fabulous characters. 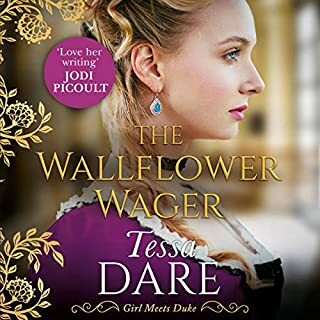 Tessa Dare - and this series in particular - are a level above the vast majority in the genre. Wonderful. Excellent narration enhances wonderful story. The Governess Game is the second book in the Girl Meets Duke series, and we see quite a bit of the original cast from Book 1. This is Alexandra's story. She sets the time on the clocks of the wealthy, and stargazes in her spare time, hoping to find a new comet. 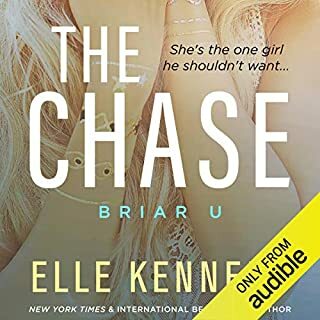 Chase is her mysterious Book Store Rake and a potential client for her time-keeping business. He is also the reluctant guardian of a couple of little girls who would have been comfortable in the Addams Family. The cast of characters have the enchanting quirks that I've grown to depend on in a Tessa Dare novel. From the doll with an unfortunate tendency to die from horrendous diseases,( and hilarious eulogies to match), to inventive sandwich recipes, there is a lot of background entertainment in this story that makes it a memorable experience. The love story is satisfying and hits no jarring notes, such as drawn out confessions or misunderstandings. Both Alexandra and Chase have their own charm and are thoroughly likeable. They just fit. The narration is sublime. Mary Jane Wells just makes everything better, when it was already really, really good. I hate having to wait for the 3rd book. The narration perfectly complimented this story. Can we hear more by Mary Jane Wells please? I loved this second book. it's had me laughing out loud. Mary Jane Wells brought all the characters to life. 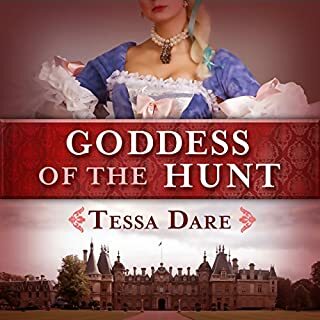 Another endearing story by Tessa Dare. Her stories do start to appear very similar, but they are worth a credit for the variation on the story. I also like the way Mary Jane Wells narrates these books. Its not too serious and there are some very lighthearted moments in it. This story is a bit too far fetched in too many places to rate five stars, but when its all pulled together it makes a happy Girl meets fate story, with the added charm of the two young girls,( who are wards to the hero), having a funeral for their doll every morning to attract their guardians attention. Nice little side story. Enjoyable listen. I adore Tessa Carr's writing style and can't wait for the next book in this series. Beautiful, funny and never bawdy. I loved it. 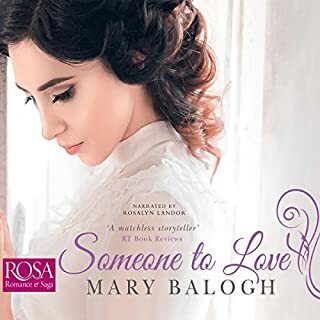 The book is a good yarn, with many chuckles along the way, but for me the narrator, Mary Jane Wells turned a good book into an excellent audiobook. She was superb, so well read and I felt she really 'got' the nuance of each character. The way she read the children's voices was genius. I'm not a great lover of child voice narration, but everything about MJW's performance was spot on. Good story, excellent H&H, very funny, quirky and heartfelt. Would recommend as an example of voice properly matching novel. Well done to Tessa Dare and to MJW, thank you for an very enjoyable 7 hours or so. This book is brilliant especially with Marry Jane Wells as narrator. She's one of my favourite . I'm Tessa Dare's big fallower. Since spindle cove her books never dissapoint . Although some of the narrators are not suited for her books. That I have to give up and buy a kindle book instead.